New Moonchild styles are here! Founded in Denmark, Moonchild Yoga Wear is a eco-friendly women’s yoga and athleisure wear brand. We believe in slow fashion and doing good by giving back to those who need it the most. Our printed leggings has a second-skin feel and are made of the finest italian fabrics. Designed in Denmark - responsibly manufactured in EU. Moonchild creates active wear styles you can be proud to wear, not only because it looks great and feels amazing, but because it responsibly manufactured with love to the people who made it too. Ready to add Moonchild Yoga Wear to your studio or yoga store? Our wholesale team is ready to assist you setting up an account with us. We support local businesses and studio owners and always encourage you to shop local when possible. Find your nearest Moonchild retailer here. 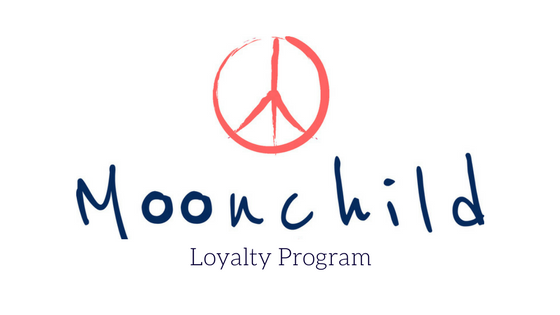 Join our loyalty program and earn points with every Moonchild Yoga Wear purchase and redeem points for anything on our store. Join us today!